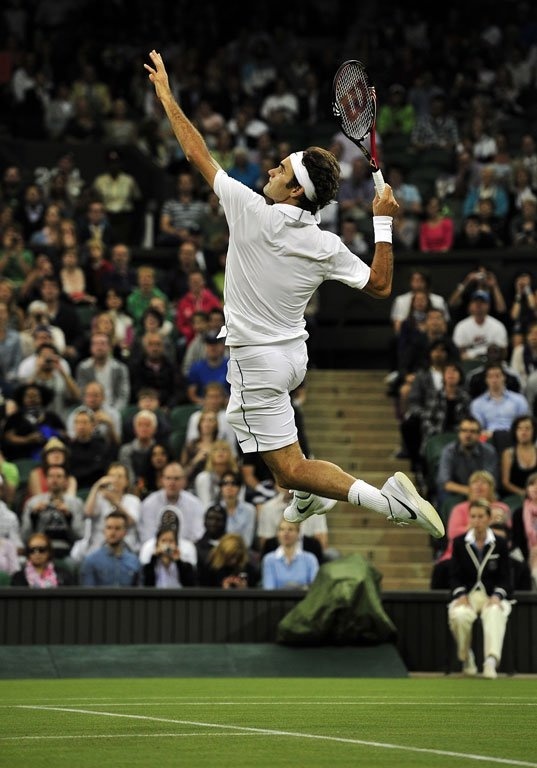 As the sport of tennis continues to evolve the landscape from which the best and brightest players follows suit. We’ve seen the good and the bad of different kids over the years that have been touted as the next great hope (sometimes for a country and others for the sport in general) only to be a letdown. And as the best players in the world only seem to get older, it becomes increasingly necessary that the new guard comes in and takes it’s place. There’s a younger crowd finally finding their footing that includes players like Kei Nishikori (who seemingly can’t stay healthy enough to dominate), Grigor Dimitrov (who is nearly as famous for his dating conquests- Serena and Sharapova, than his results), Milos Raonic (who is either a one-trick pony or still holding back on us), David Goffin (who looks like he’s still in 10th grade, but like a 15-year old is coming into his own), Jack Sock (who won’t hit a backhand to save his life but boy is that forehand a sight to see), Bernard Tomic (who is mercurial and still exciting enough to hold out on, but for a guy in the Top 25 he’s not done anything of note recently), and Benoit Paire (I know he’s a little older but he’s one of those guys that is just starting to figure out his own potential. So there’s obviously some good talent with anything between 5 to 10 years (or somewhere in between) to keep us interested for the few years that we will be without a true champion that we are aware of after Roger Federer, Novak Djokovic, Rafael Nadal, and Andy Murray are finished. That said, the big four (and you could certainly include Stanislas Wawrinka in that group now) has a few years left. Or at least a couple do. But where will we find the really talented guys? And who will be the next letdown (i.e. Jo-Wilfried Tsonga, Donald Young, Richard Gasquet, Ryan Harrison, Gael Monfils, Ernests Gulbis, Jerzy Janowicz, etc)? Sidenote: Tsonga has had his victories but this guy should be Top 5 right now. Donald Young was and still is playing a boy’s game on a men’s tour. Richard Gasquet was the top ranked junior (under-18s) when he was 15. Harrison peaked way too early and whatever happened to his little brother? Monfils won the 3 of 4 grand slams in a calendar year as a junior but can’t play an entire match. Gulbis is his own worst enemy and it’s a wonder he’s still playing. And Janowicz isn’t done yet but there’s no reason why he shouldn’t be towards the top. In no particular order, these are the guys that have the most to work with even if they possess their own shortcomings. Also, I’ve seen all of these guys play. While there’s still a long way to go, these guys have what it takes more than the next Michael Russell or Fabrice Santoro (I know he was “The Magician” but he was two-handed and 5’8). Alexander Zverev. He’s skinny as all hell right now, but he’s angular (6’6) and mobile enough to stay in matches of the shorter variety. His showing in the US Open against countryman, Philipp Kohlschreiber, was only derailed because the kid looks like he hasn’t lifted a day in his life. Good job with the ab roller, but he’s not taking any ladies to the gun show any time soon if you know what I mean?!? He’s powerful on both sides and has a solid net game. Definitely the best talent out of the Fatherland (bad joke) since Tommy Haas, and at 78 in the world he’s off to a good start. Borna Coric. 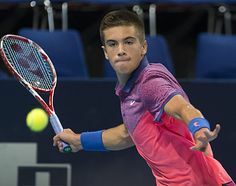 Coached by former Swedish pro Thomas Johansson, Coric has the same fire and tenacity of his mentor and has already shown the kind of work ethic and desire in and out of matches that leads me to believe that he’s not just a flash in the pan. Already hanging with the big boys at 18 years old, Coric is solidly in the Top 50 at 38th in the world. He’s a grinder from the baseline but it’s obvious that he possesses a game big enough to dictate points when he so chooses. More experience and continued physical maturing will do this kid a lot of good. 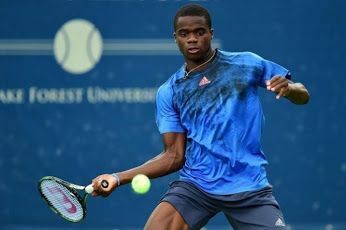 Francis Tiafoe. I hate putting this kid on a pedestal. My only really good memory of watching Tiafoe play was him throwing his racquet in frustration a few times. But the talent is there. 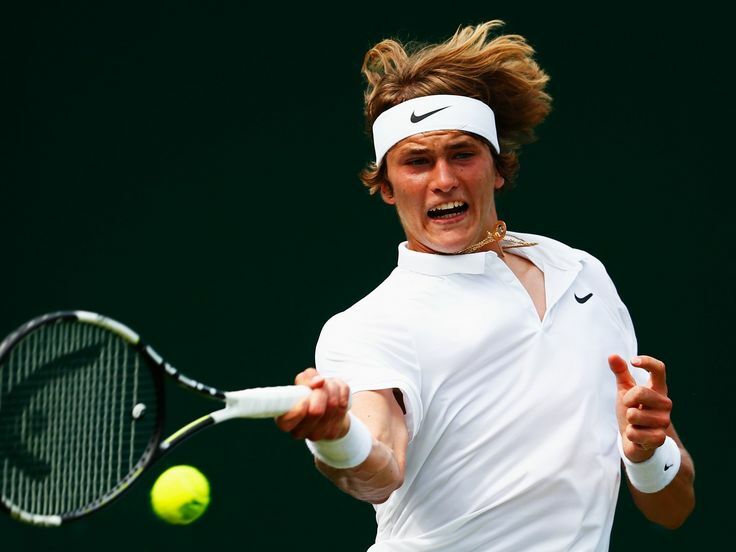 He’s yet to really make an impression on the main tour like some of his peers but he will be given every opportunity to succeed though it isn’t clear yet whether he’s the next big thing or it’s guys like Taylor Fritz, Reilly Opelka, Tommy Paul, and Michael Mmoh could possibly be the next big thing. They are all top-ranked juniors with the potential for more. Opelka is 6-10, so he’s got an advantage right there and Paul won the French Juniors and qualified for the US Open so we know he can play with adults. 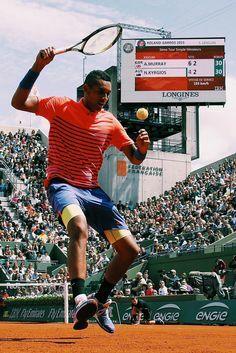 Nick Kyrgios. The kid has so much talent it’s unfair. He’s big like a linebacker and runs like a gazelle. He also plays like everything is a joke and people should just bow down to him. He has some much raw power it’s crazy. He’s produced solid showing Grand Slams and been up and down the rankings in the last year. If he had half the ability of Nadal or Federer to concentrate on tennis, he’d have won at least 1 or 2 Slams by now. Seriously, he’s that good. At 20 years old, he’s 41 in the world and still has time to get it together. Yoshihito Nishioka. Nishikori is the present for Japan, but Nishioka is the future. Ranked 147 in the world, the kid is tiny but hits the ball bigger than his 5’7 147-pound frame. His ground game is solid and he’s a great mover. Still, he’s on the cusp of mediocrity and thus needs this next year to be his coming-out party. He’s a scrapper with talent so the assumption is he will emerge eventually. Thanasi Kokkinakis. Best friends with the other young guns from Australia, Kokkinakis looks like the nerdy tag-along friend that no one invites out unless all their other friends are busy. But this kid, emo hair/gauged ears and all, is tall, athletic, and already produced on the world tour. So the lapse in quality play of recent isn’t much of anything to worry about. For a kid as big and rangy as he is, his movement and consistency is what is really impressive.